August can be a hot dry month but also can be wet if westerly winds bring low depression giving periods of dull wet weather. August the 12th "Glorious Twelfth" is the start of the Red Grouse shooting season. During August some birds which are regular visitors to our garden seem to disappear. Reason is that during this month birds moult their feathers and it can be dangerous particularly as their wing feathers will make it harder to escape predators, they will try to keep themselves concealed until the moult has finished. Another reason this is the time where there is plenty of natural food such as berries and grain so will move to where the best food is. Summer visitors such as Swallows, House Martins and Swifts can be seen flying low over fields catching insects. Bats are a familiar site at sunset. This is the best time to see Dragonflies and Damselflies. On warm days with a light wind you can see male Dragonflies establishing their territory and chasing off rivals. 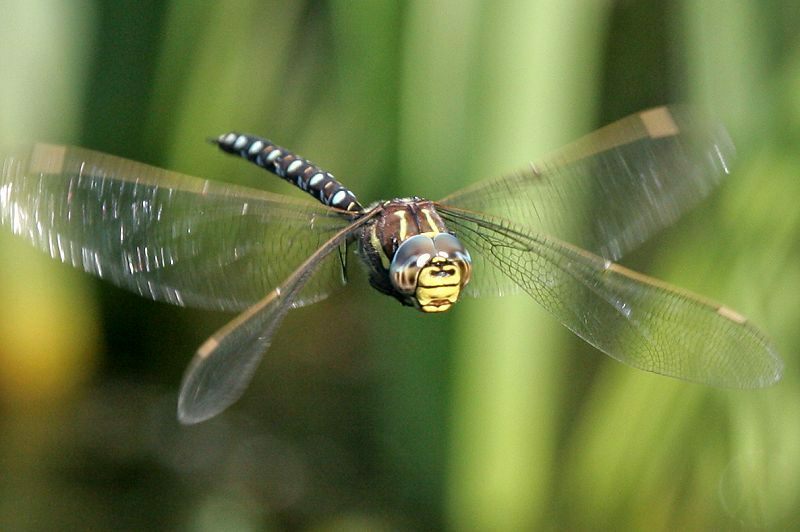 The Dragonfly species you are likely to see are the Common Hawkers. Damselflies which are smaller such as the Common Blue can be seen. 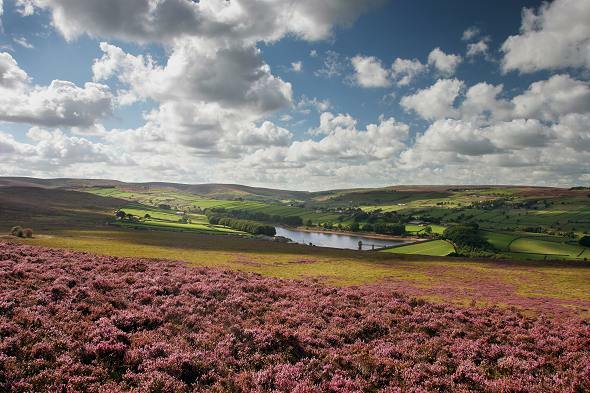 August 11th 2009: Heather is flowering purple on the moors. August 12th "Glorious Twelfth" shooting season for Red Grouse starts. August 13th 2009: Swarms of March flies on the moors. Monny a rustic yut unborn, E this ear month will shear the corn. When furst, the soil receives the fruitful seed, Mack noa delay, but cover it wi' speed.